Tag Archive | "drug combinations"
The Food and Drug Administration has announced Thursday that retail pharmacies will stop selling the controversial oral diabetes drug Avandia starting November, because of the possible cardiovascular problems it may cause to patients. Based on the new set of rules set by the FDA, Avandia will only be sold to patients who have been using the drug safely for a long time, patients whose blood sugar levels can only be successfully controlled by Avandia, and those patients who already know the risks the drug poses but still choose to use it. The rules will take effect on November 18, 2011. Those patients who are qualified to take the drug or who will sign a consent stating he or she knows the risks and still willingly take the drug will be enrolled in a program. 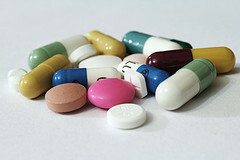 Only those who are enrolled in FDA’s special program will gain access to the drug. Following the Avandia-Rosiglitazone Medicines Access Program, all medicines with rosiglitazone content will only be sold to enrolled patients. Certified pharmacies that participate in the program will release the drug by mail order. The agency said on Wednesday that GlaxoSmithKline – the drug manufacturer – will withdraw all rosiglitazone medicines from their supply chain. They will also provide pharmacies with specific instructions in returning the said medicines. Rosiglitazone have other drug mixes such as Avendamet which is a combination of rosiglitazone and metphormine (hypoglycemic drug) and Avandaryl, a combination of rosiglitazone and glimeperide. These new FDA rules apply to all drug combinations of rosiglitazone. GlaxoSmithKline spokesperson Mary Anne Rhyne announced that the company will inform doctors and pharmacists regarding the access program over the next two months; meanwhile, the company advices patients to discuss treatment options with their doctors first before making any changes.